The Altima is one of the popular builds in the Nissan line of passenger car vehicles. This vehicle was produced in 1993 and remains in active production in the U.S. The compact design of this brand makes it easy to accept the different gearbox types from Nissan. PreownedTransmissions.com is one of the largest providers of Nissan Altima transmission inventory in the U.S. There are currently four different transmissions used inside of the Altima. The most basic design is the four-cylinder. These are Jatco designs that have been offered since the base production year. A larger manual edition known as a five-speed also exists. These are provided for the compact and mid-size editions. Locating the exact replacement code for a Nissan transmission can result in a perfect match. Nissan upgraded its shifting patterns in the 2000s to introduce the CVT. These are known as constantly variable transmissions. This means that these units can function much like a manual unit or automatic depending on the gear ratio needed. 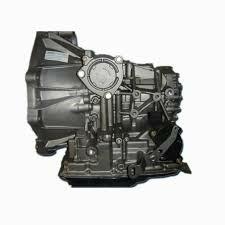 There is a manual six-speed that is offered as an upgrade to the standard Jatco five-speed. All of these units are available for shipment here. When replacing a gearbox for an import vehicle, it is essential to understand mileage plays an issue. Changing out a unit with high mileage for a newer unit with equally high mileage can result in a negative effect. The Preowned Transmissions company offers warranty coverage for all completed gearbox sales. This upgrades the original warranty length to a maximum of two full years. Altima gearboxes for sale through this resource are easy to process. The actual sticker price that is marketed with these units must be requested. The Internet system used here accomplishes this for most consumers. Tapping into the public quotes system on this resource starts the entire review process. The year of an Altima and engine type are usually common criteria needed to produce the updated prices. A person who is ready to buy can also learn pricing over the phone. A talented transmission representative can deliver sale pricing when the toll-free number is called. The Altima is one of the top selling brands in the U.S. market. All price quotes that are distributed are expected to be low. Questions about mileage on each assembly and shipment delivery times are commonly answered during phone quote requests.